Paul McCartney’s children’s book, High In The Clouds, is being made into an animated feature. The 2005 book (which the Beatle co-wrote with Geoff Dunbar and Philip Ardagh) follows Wirral The Squirrel as he’s driven from his peaceful woodland home by developers and animal haters, then embarks on a quest to find Animalia, a legendary land where he can live without fear. 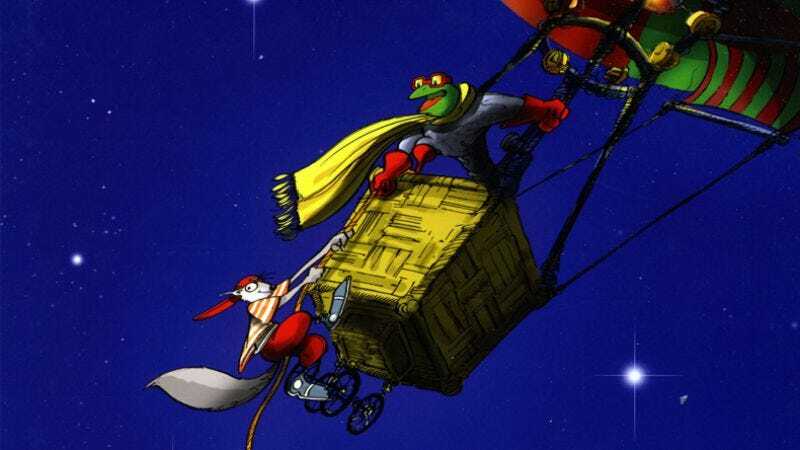 He’s accompanied on his trip by Froggo the hot-air-ballooning frog, red squirrel Wilhamina, and “streetwise rodent” Ratsy. Over the course of the trip, Wirral’s quest turns into not just something he wants to do for himself, but something that should help save “enslaved animals everywhere”—something that longtime vegan McCartney obviously has some not-so-subtle thoughts about. The 3-D film adaptation will be released in 2015 by Unique Features, and should come complete with several new McCartney songs. Mulan’s Tony Bancroft will direct from a script written by Shrek Forever After’s Josh Klausner.